Lima is home to excellent museums that showcase the achievements of Peru’s oldest cultures, but the country’s main draw is the chance to uncover the very sites where the ancient Inca once thrived. Ascend into the Andes and explore the plazas of colonial Cuzco, the Incan sites in the Sacred Valley and the legendary Lost City of the Incas at Machu Picchu. Board your flight to Lima and arrive later this evening. View the pre-Colombian art on display at the Larco Museum, then follow a local guide on a tour of both the modern and colonial quarters of Lima. Later, get to know your Tour Director and fellow travelers at a welcome dinner. Enjoy a full free day in Lima or add excursions. Travel to the airport this morning to fly to Cuzco, where you’ll have free time to acclimate to the elevation or explore on your own. Follow a local guide on a sightseeing tour of the magnificent capital of ancient Peru. A local guide leads you on a full-day sightseeing tour of the Sacred Valley of the Incas, nestled between Cuzco, Machu Picchu and the surrounding Andes Mountains. Take a train to Aguas Calientes, passing through the verdant valleys that lead to the Lost City of the Incas. 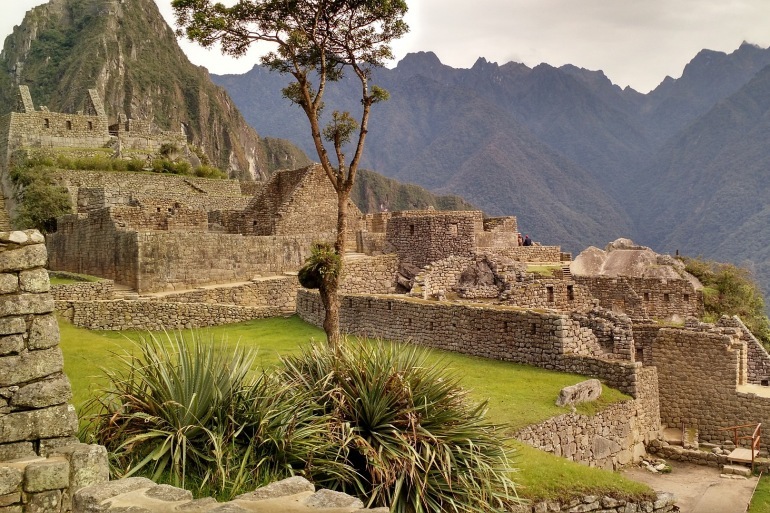 Spend a free morning near Machu Picchu or add an excursion to return to the ruins. Rejoin the group for lunch in Aguas Calientes before taking a train back to Cuzco. Enjoy a full free day in Cuzco or add an excursion. Fly to Lima this morning to relax in a dayroom before boarding your flight home tonight or early tomorrow morning. If you are continuing on the tour extension to the Amazon, you’ll spend tonight in Lima. Please note: Extension is not available on all departure dates. One of South America's most important natural wonders, the Amazon is the biggest forest in the world and home to the single greatest concentration of life on the planet. Hike through a part of this stunning landscape, take a boat ride to an indigenous Yagua village and visit a former Franciscan mission town. The Jose Antonio Lima Hotel is located in Miraflores, a residential district and an excellent location for business or tourism. Nearby you will find shopping, dining and recreation areas. Located 30 minutes from the international airport and 20 minutes from the historic center of Lima. Strategically located in the center of the famous Miraflores, La Hacienda Hotel Lima is very close to the city's many excellent restaurants, nightclubs and shopping centers. The hotel's El Algarrobo restaurant offers a warm atmosphere and a full menu of local and international food. The hotel casino and bar is the biggest and most prestigious in Miraflores. Enjoy a delicious Pisco Sour or your favorite drink by the fireplace in the lobby. Located in the heart of the archaeological center of America's oldest city. A few minutes from the Plaza de Armas, this recently built hotel has modern architecture with fine colonial details. Smart and contemporary are the defining elements of this hotel, amidst the commercial village of Machu Picchu Pueblo (Aguas Calientes), from where you can admire and interact with the quaint folksy town and get a different perspective. The hotel is efficient, playful and people friendly; it welcomes a wide range of guests expecting an uncomplicated visit. An amiable and healthy environment after your enlightening visit to Peru’s most distinguished destination, the Machu Picchu Archaeological site. Casa del Sol Boutique Hotel invites visitors to experience the wealth—both cultural and natural—that has shaped this warm and welcoming community; and at the same time to take refuge into the intimacy of our rooms which combine brilliantly the sophistication, the art, and the history of our location.